Led the team that built the GIS for natural gas gathering in the Barnett Shale. 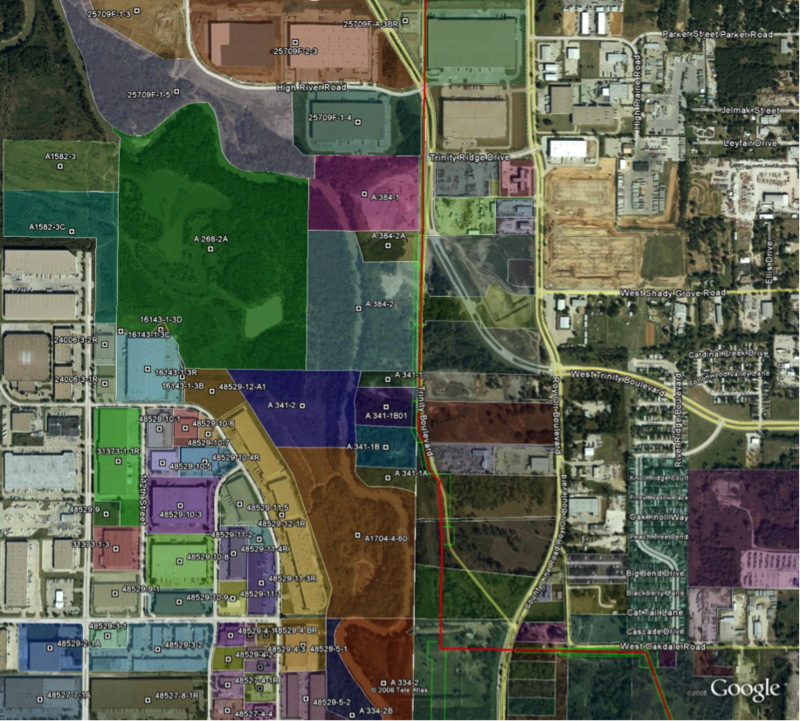 GIS was used from line list through right-of-way acquisition, alignment and construction of over 200 miles of new natural gas gathering lines in the highly urbanized Fort Worth, Texas Barnett Shale area. The work includes the collection, editing, updating and distribution of data via web-enabled GIS. It illustrates the handling of land records research, preparation of land surveys and exhibits for right-of-way acquisition. The project Owners have real-time access to the database at all times. Using a custom data dictionary the field personnel perform all topographic surveying for each route using GPS/GNSS and a Real-Time Network. This data along with the route stake-out and “as-builts” information is also databased in GIS. The information is used by the pipeline designers for their plans, alignment sheets and profiles and can be rolled into an enterprise GIS management system.